HOW DO WE WIN OUR NATION BACK? Almost 40M Evangelicals and Conservative Catholics DON’T VOTE! Get 1/3 of them out to the polls - and we win every election; without having to argue with a single independent or non-Christian. 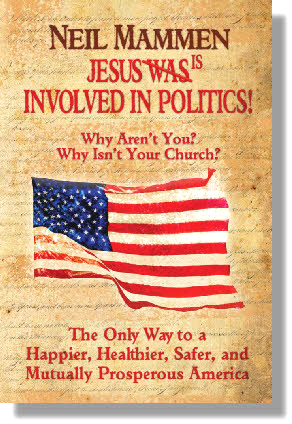 These resources are here to help you start a small group and give Biblical and Historical reasons to convince your Pastors, Elder Boards and fellow Christians, why Christians and the Church critically need to be involved in Politics. Answer every objection your pastor/priest may have. Prove WHY the Church SHOULD be involved in Politics. Show why charity is the job of the Church & not Government. Show why socialism violates the Bible and why Atheists needn’t fear a Christian Taliban!